CocaColla.it, a two year-old Italian blog about street art, music, design, culture and advertising, received two letters from The Coca-Cola Company a few weeks ago, in which the beverage manufacturer requested the blog to change its name and transfer the URL over to them in order to avoid consumer confusion, threatening legal action if they did not comply with their demands. And the bloggers did exactly what bloggers will do in such cases: complain publicly and try and drum up interest for their cause on the Internet. They also consulted a lawyer specialized in intellectual property, who unsurprisingly convinced them to comply with Coca-Cola’s requests instead of trying to fight the softdrink giant. They also already have a brand new identity in the works, but that’s not stopping them from attempting to make this thing go viral before they switch. Their blog post on the matter (in Italian) spread quickly among Italian Internet users and on became a local trending topic on Twitter (hashtag #supportcocacolla). Many of them are now reaching out to overseas reporters and pundits, ourselves included, to stand up for them and make some noise about their ‘unfair treatment’. They even penned a multi-lingual press release (PDF). 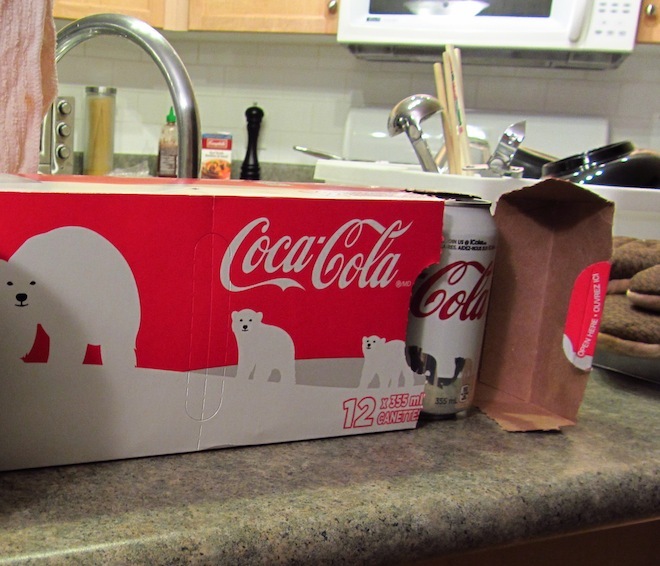 Of course, it doesn’t hurt to think about what you would do if you were The Coca-Cola Company. Never mind that the CocaColla.it bloggers were admittedly aware of the similarity with the name of the popular soft-drink; I don’t think anyone with a shred of common business sense is surprised that Coca-Cola would want to avoid being associated by consumers with a blog they have no control over whatsoever. Furthermore, it’s worth noting that Coca-Cola is constantly under pressure to actively defend its registered trademarks. For a brand of that size, trademark infringement is more about protecting the goodwill they’ve established with consumers over the (many, many) years and not so much about losing market share or hurting revenue-wise. In fact, it’s among its most valuable assets. Also, although I’m not a lawyer, as far as I understand Coca-Cola has no choice but to defend their trademarks to avoid losing them (or creating the impression that it’s ok for others to create confusion). It almost always comes across as bullying when the party on the receiving end is the proverbial little guy, but it can’t hurt to put things in some perspective in cases like this. For what it’s worth, I understand the CocaColla team’s frustration about only getting a 15-day window from Coca-Cola to proceed with the takedown of their site and sale of their domain name, but I’m sure that is negotiable. Hardly worth picking an online battle over, if you ask me. You’ll hurt Coca-Cola more by switching to Pepsi from now on. I hear it’s better-tasting, even.